Safestore Self Storage in Hanworth is on the A312 Twickenham Road (Links Industrial Estate) just west of Apex Corner, opposite Sainsbury's and next to Wickes. Buses 285 and 490 go to Apex Corner, then there's a walk through to Popham Close. The closest train station is Fulwell which is approximately 2 miles aways. We're also conveniently located for those in Teddington, Twickenham and Hampton who are looking for self storage. Our store in Hanworth was a purpose built state of the art storage facility that opened in 2008. Whether you need to downsize your home or you’re just looking for somewhere to put your sports equipment, then look no further. Many small businesses store with us for the 24 hour access, free acceptance of deliveries and access to forklifts. Call us today or get a quote above. 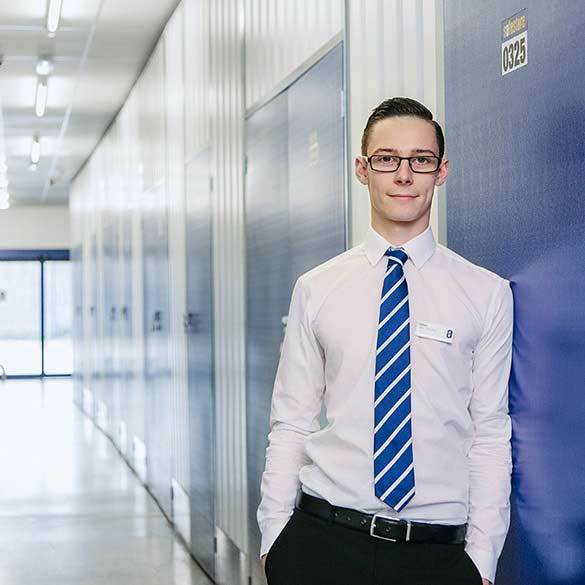 Our friendly service team are here to make storage easy. If you're unsure of what size of unit you need do ask our team or use the award winning size estimator below. We have a range of storage solutions at Hanworth (Twickenham) Safestore, whether you are moving house or just need some space to store your things. Use our storage size tool to help you decide what you need. Get 50% off storage for up to 8 weeks at Safestore Hanworth (Twickenham) with no minimum stay. Offer available at all UK Safestore centres. Get a storage quote at Safestore Hanworth (Twickenham) today and reserve a unit for free. When you move in we won't need a security deposit either. Get 20% off at Safestore Hanworth (Twickenham) if you agree a stay for longer than 12 months. Terms apply. Legend Removals is an International Removal company providing a top quality service for UK and International Removals and Relocations, We cover the whole of the UK and Europe. We can help Individuals and Companies move house or office to anywhere in the UK and Europe. We will take care of everything from packing, unpacking, dismantling, re-assembling. Our services can also include packing materials. We understand how important your belongings are, therefore we strive to take the stress out of moving. We do our upmost to ensure goods arrival safely and on time.